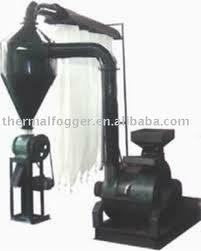 We are one of the eminent manufacturers, exporters and suppliers of Industrial Machines. These products are fabricated using premium quality raw material, which is outsourced from the most reliable vendors. In line with the prevailing industry standards, these products fulfill the requirements of Pharmaceutical, Pulp & paper, Plastic, Tobacco, Textile and Rubber Industries.